Drawing Again! – GAME DEV. LVL DESIGN. VR & ARCHITECTURE. 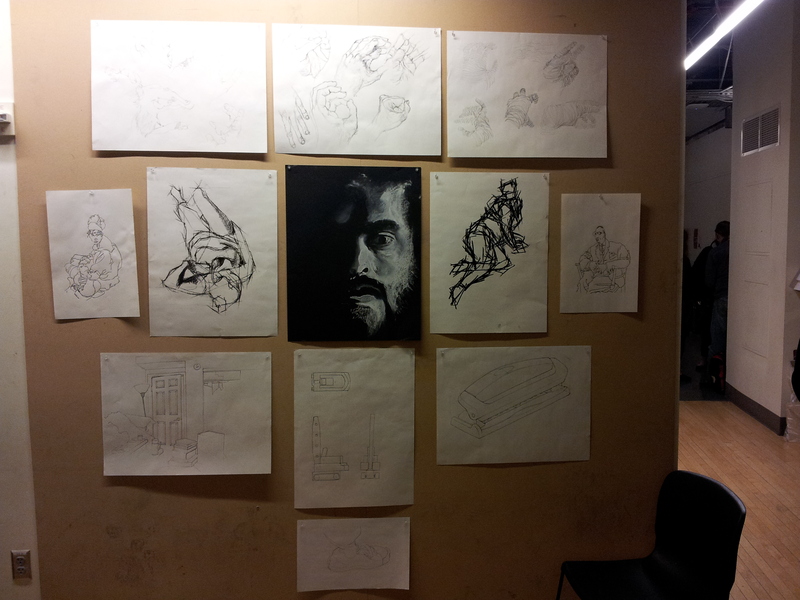 At the beginning of 2013 I started taking a basic drawing class at Portland State University as a way to rediscover my long forgotten drawing ability. It has been very enjoyable these last two months as it has been helping me a lot when trying to put down and communicate an idea in my sketchbook. As a part of my level design process I do what I can to envision the map I am trying to create before jumping in to Unreal III, and a lot of that process tends to end up in my sketchbook. I don’t always have the concepting support that I would like to have when beginning a new map or level for Forge, so it is a necessity that I do what I can to design and concept out enough of the world for which I am about to make.